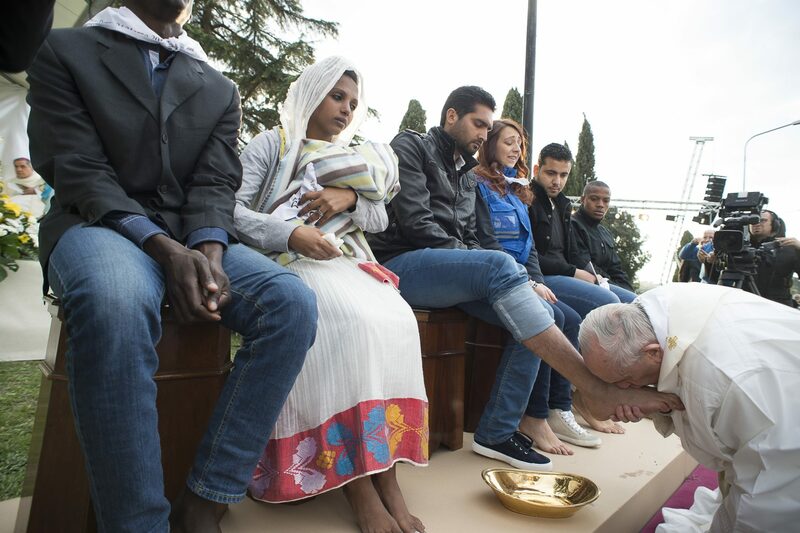 In a moving gesture of brotherhood and peace, Pope Francis washed the feet of several refugees, including Muslims, Hindus and Copts. Gestures, like Jesus washing the feet of his disciples, “speak louder than words”, he said during the Holy Thursday Mass of the Lord’s Supper on 24 March. 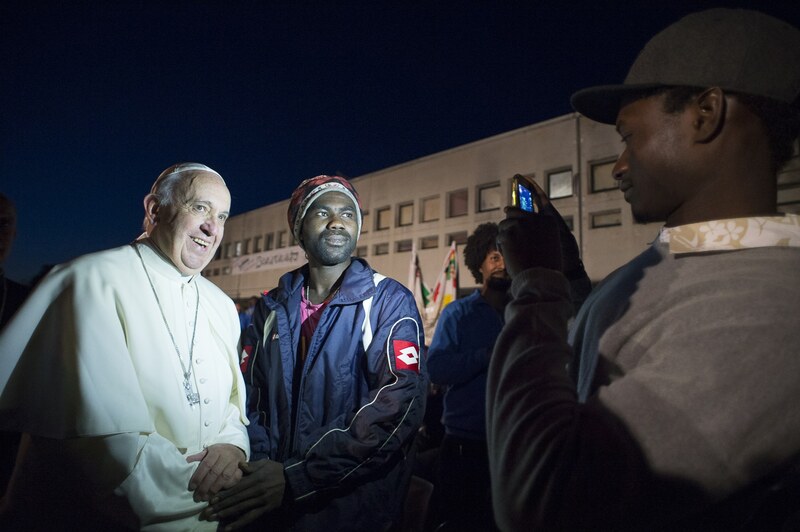 Hundreds of refugees were outside hoping to catch a glimpse of the pope as he made his way into the courtyard of the Center for Asylum Seekers at Castelnuovo di Porto, north of Rome. “Today as well, there are two gestures. All of us here, (coming) together – Muslims, Hindus, Catholics, Copts, Evangelicals – but (being) brothers, sons of the same God who want to live in peace,” he said. “In this moment, when I do Jesus’ same gesture – to wash the feet of you 12 – all of us are making this gesture of brotherhood. And all of us can say: We are diverse, we are different, we have different religions and cultures, but we are brothers and we want to live in peace,” he said. 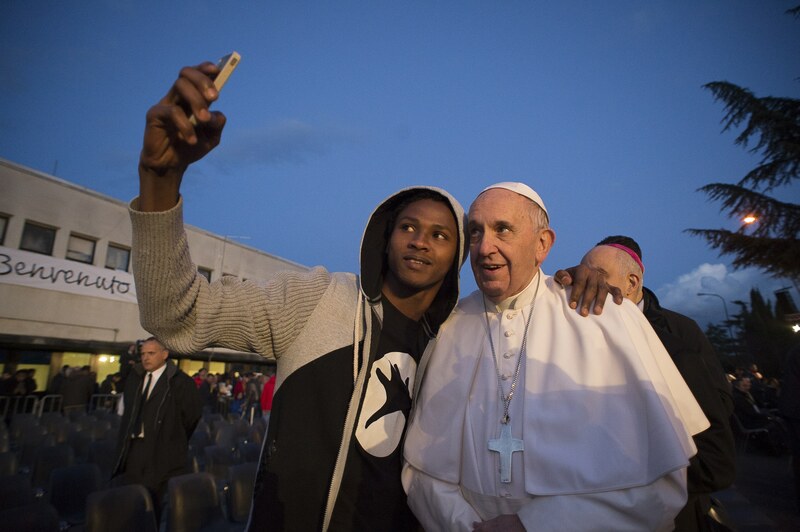 Acknowledging the suffering endured by the refugees, Pope Francis asked them to pray in “their own religious language” so that there may “always be brotherhood and goodness”. This beauty, he said, “has a name: peace and love”.